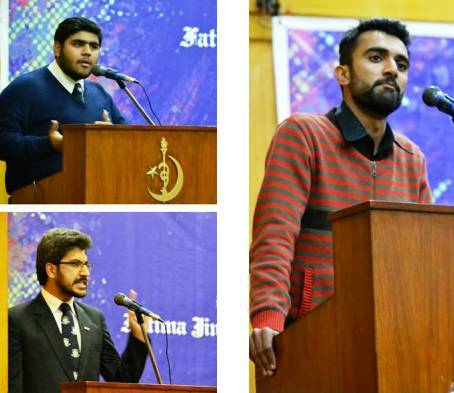 Fatima Jinnah Memorial College, Lahore hosted their annual Shanawar Trilingual Declamation Contest 2014. Competing for their sought after trophy, many speakers from various institutions took part in the event. 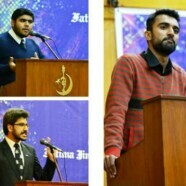 Momin Niazi spoke in the English Category; Syed Fazal Hasan Kirmani spoke in the Punjabi category and Hamza Mustafa competed in the Urdu category of the event. Each of the speakers spoke effortlessly in the language assigned to them and gave great speeches. Momin Niazi stood second position in the English Category.